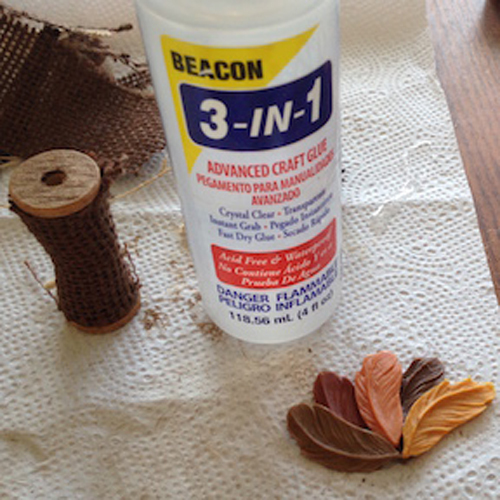 Color woodens spools using deep brown creme wax. Wrap each spool in a strip of burlap, using 3-in-1 adhesive to attach. 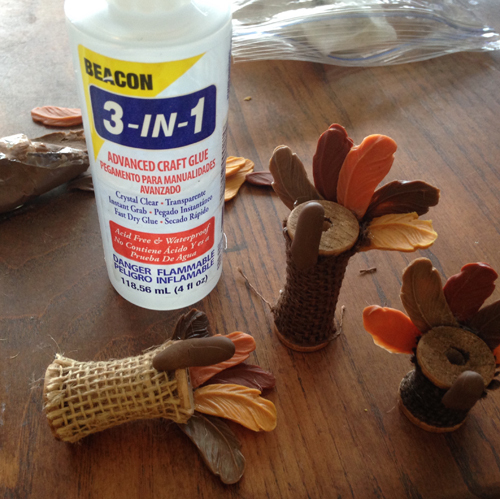 Using feather silicone mold and assorted shades from the Earth Tones pack of clay, make assorted feathers. 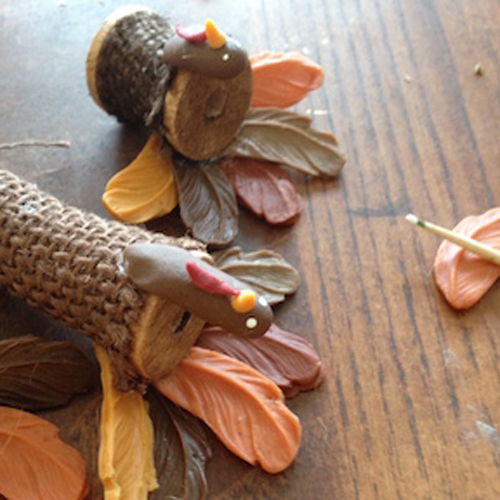 Arrange feathers as desired for tail of each turkey. Mount feathers together to form tails. Glue tails to top edge of each spool. 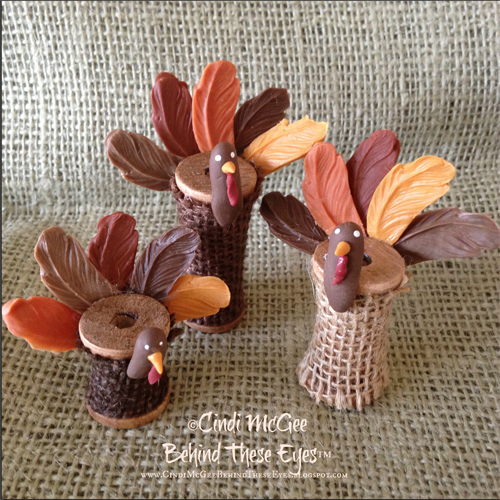 Make heads of turkey with brown clay. Mount to front top edge of each spool. 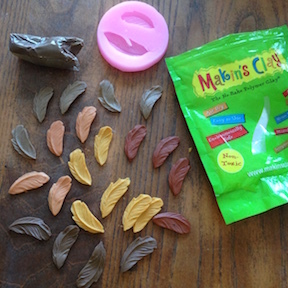 Use clay to make beaks & wattles. Attach to heads. Use toothpick to make eyes with white paint. Let clay dry 24 hours. Totally adorable! I got to make this!